With so many clients in the eye space, it’s only natural that Pascale helped several of our clients prepare for a thorough and cohesive social presence at this year’s ASCRS. The digital team was prepped with the information ASCRS shared via their Facebook and Twitter accounts to ensure clients were in the know on important updates, hashtags and events. 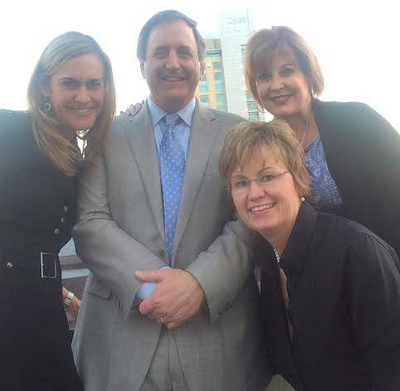 Paragon BioTeck‘s social media presence at ASCRS included live tweeting from their Twitter account, wherein they shared great tidbits from Ophthalmic Women Leaders‘ social media discussion and more. They also shared booth and product information in their actively updated Facebook page. They also inducted a very deserving new member into their Scientific Advisory Board during the ASCRS meeting; you can read more about Captain Ed Woodward in this Eyewire Today article. For more information on Paragon BioTeck, Inc., follow their LinkedIn company page. Pascale was able to help get the word out about not only stopping by the Imprimis booth but also to encourage attendance at the Imprimis Reception at the Hard Rock Hotel. 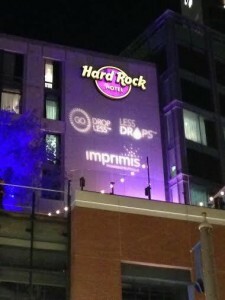 Imprimis was also excited to introduce their newest educational campaign, LessDrops. Combination Drop Therapy helps patients be compliant by reducing the number of drop instillations and decreasing prescription costs. We’re so pleased we could help our clients, who do AMAZING work, have a great presence at such an important meeting. Looking forward to future shows and more great work!